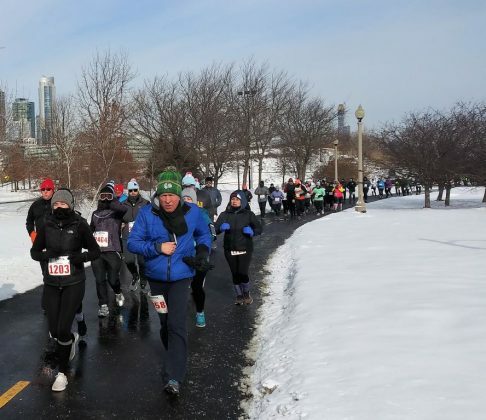 The F^3 Lake Half Marathon and 5k is the first big Chicago race of the year. 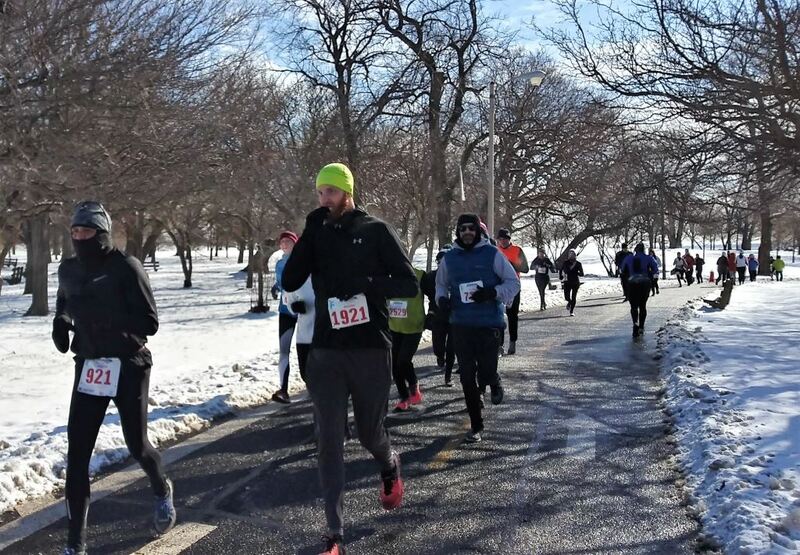 Over the past nine years, runners have experienced all sorts of weather, and in the tenth year, runners experienced likely the coldest year yet with temperatures only reaching double digits as the race ended. 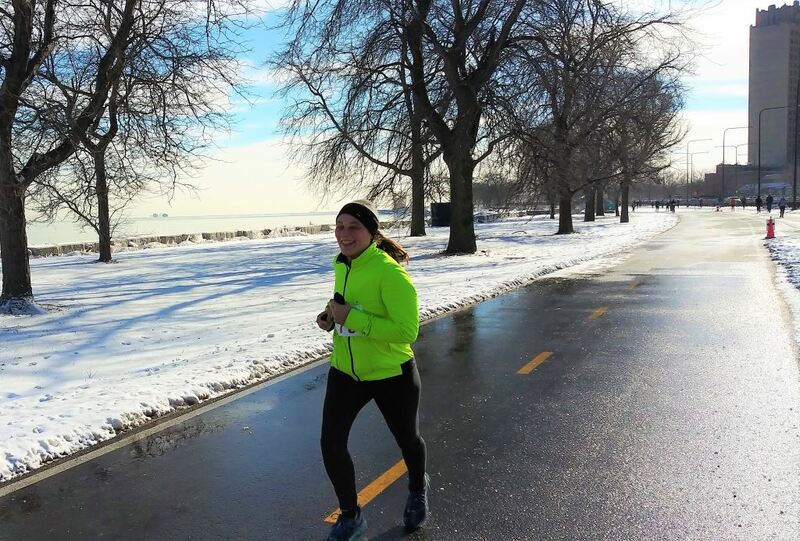 This year, however, runners were in for a treat as the Lakefront Path was now completely finished. Runners finished with salt and slush covering their clothes, but it was safe to say that this meant the path was mostly clear of ice and snow and potential falls. 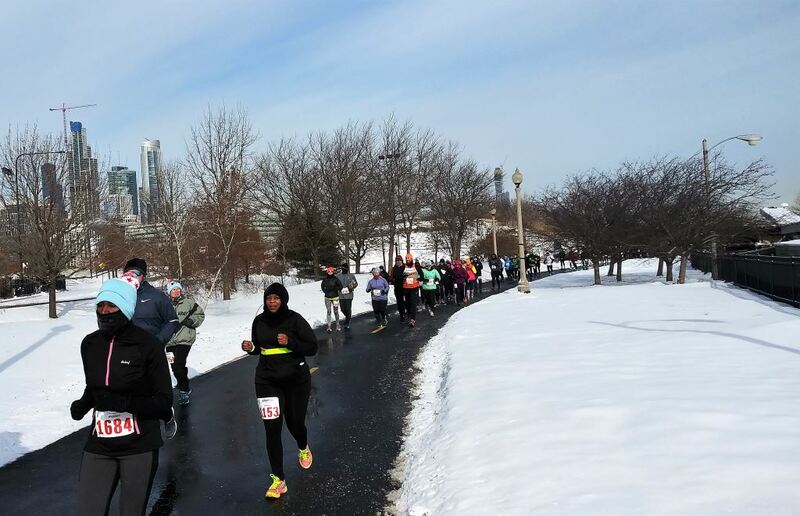 The Chicago Park District did an excellent job overall of providing a clean running route. 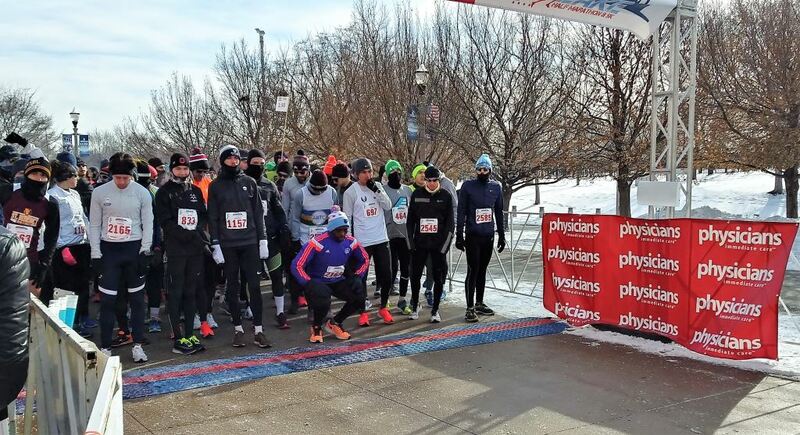 The race is very well-organized, with plenty of communication from the race director regarding packet pickup information and other logistics (particularly if the race would be on given the seriously cold forecast). 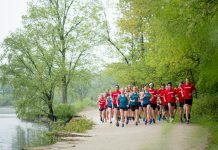 Packet pickup was offered in a variety of locations (both city and suburbs) and runners could pick up their packets on race day for an additional $15. New this year, participants were given the option of choosing the typical hat/scarf combo, a $15 Running Excels gift card, a $15 Fleet Feet gift card, or donating their $15 to their charity, Girls in the Game. The half marathon began at 10 a.m. at Soldier Field. Runners made a loop around the stadium before heading out to the Lakefront Path. The 5k began at 10:30, with both courses being clearly marked so there would be no confusion between races. 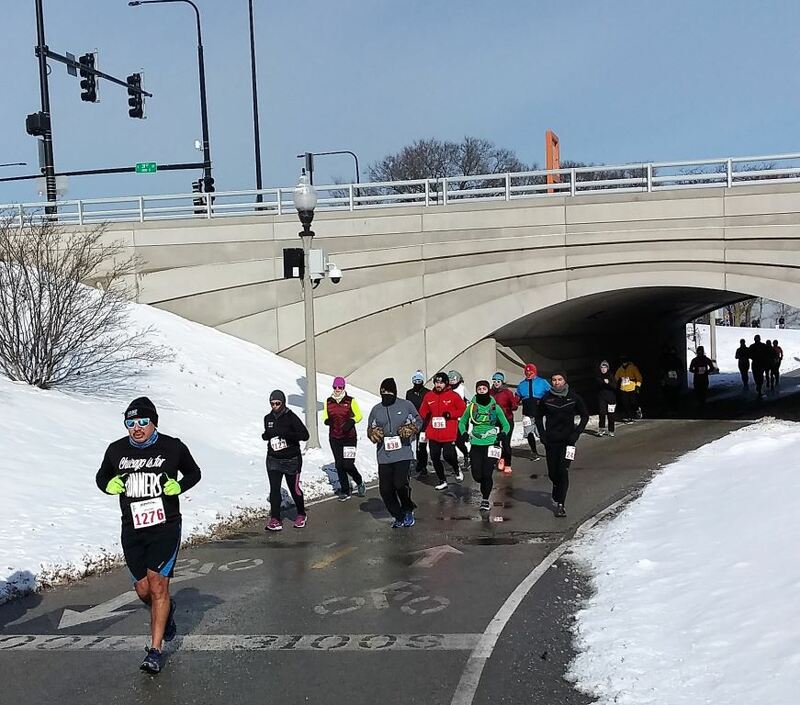 Despite having almost 1,600 participants in the half marathon, it never felt as though the path was overly crowded. Aid stations offered sports drink and water and it was amazing to see so many volunteers out despite the single digit temperatures. 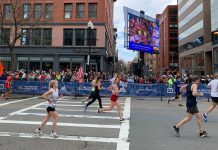 An improvement from previous years was the ability to follow runners along the course through Chronotrack which sent text message updates to friends and family members of a runner’s pace and position on the course. I also have to give a huge shout out to the race director and medical team; I had a foot issue flare up at the most unfortunate time of the race, but when I did finally walk my way back to the aide station at mile 2.5, the medical director rushed out to me and gave me thorough examination before calling for a race vehicle to come take me back to Soldier Field. The race director was very helpful during this time as well and both made me feel much better about my decision to call it a day for my foot. Upon crossing the finish line, runners were greeted with medals, fluids, and even hot chocolate before being able to head back into the warmth and take pictures with friends or just simply warm up. Awards were given to the top five overall male and female finishers in the half marathon in celebration of the race’s 10th year. The celebration continued at Kroll’s, where many craft beers were on tap and all runners received a free one. While a race in January is generally not too appealing (especially for those who take the off season seriously in November/December! ), this race is a fun way to see what kind of shape you’re in and get a good benchmark going into the 2019 season. Jacqui was born to runner parents, so she fell in love with running at a young age. 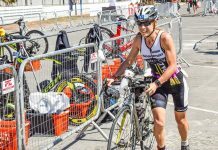 After frequent injuries while running at the University of Illinois, she began cross training with swimming and biking and eventually got pulled into the triathlon scene as well. As a junior high teacher, cross country and track coach, Jacqui enjoys passing on her passion for athletics to her students.